What’s the biggest priority for HR In 2018? Hear from Employee Benefits Live attendees. 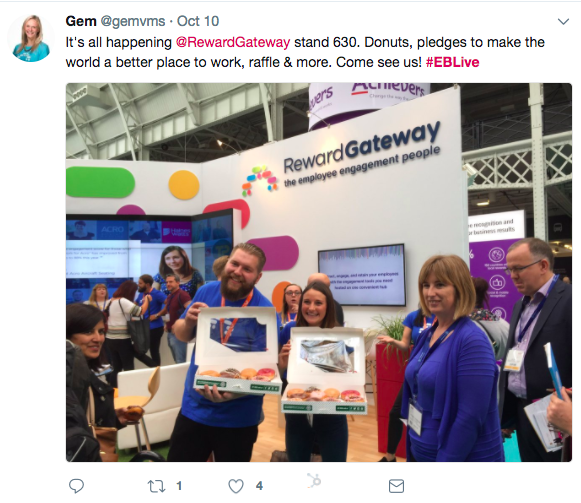 Last week, we attended Employee Benefits Live 2017 with 2,200 others from the reward and benefits industry. I had the opportunity to talk to a lot of the HR professionals in attendance who were looking for ways to be more rebellious with their benefits, and they had the chance to learn from one of our favourite Rebels, our Group Reward Director, Debra Corey. 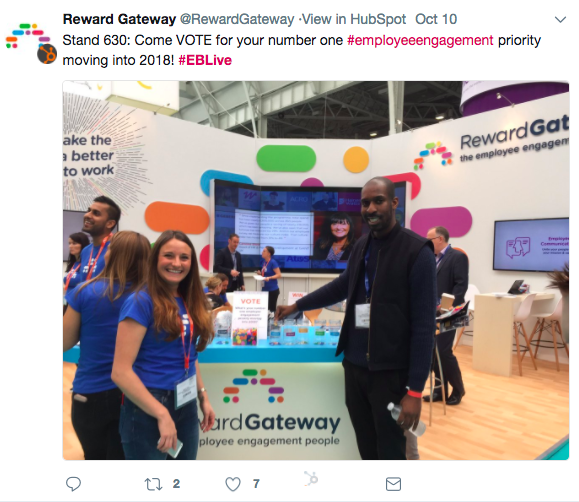 Attendees shared with us their biggest challenges and top employee engagement priorities for 2018, and we’re excited to bring you those results. During her talk, Debra chatted to the audience about the need to be rebels to deepen employee engagement and shared stories about some of her favourite rebels, BrewDog and Citation, who both have innovative approaches to delivering and communicating benefits. Citation’s HRD Linda Jodrell was on hand to help present her story, which earned the organisation an Engagement Excellence Award in best evolution of benefits in 2015. If you’re interested in learning more, you can watch the full presentation here. 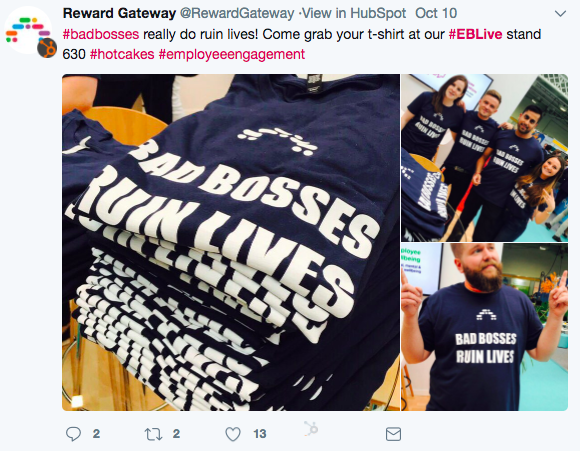 And of course, we almost immediately “sold out” of our Bad Bosses Ruin Lives T-shirts, but don’t worry, we’ll have plenty of swag (and employee engagement advice!) when we see you at our next event. 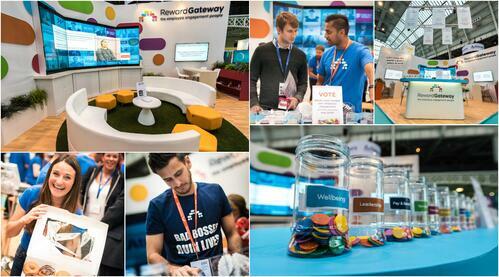 In the meantime, here are a few of our favourite moments from the two-day conference.